So with that said, if you are planning a wedding - let me just encourage you by saying - do what you want! The majority of photographers and wedding blogs out there will encourage you to have a first look with your soon-to-be spouse, but I am here to say...you can say no! Don't get me wrong - there are AMAZING perks to a first-look - even outside of photography. You get to calm you nerves and just relax a bit with your honey before the big moment - and that is awesome! And in the mean time, the photographer and videographer can get some great shots in the best timed lighting, thus giving you more time at the reception after the ceremony (since you don't have to take pictures). PERKS - I tell ya! So don't hear me saying that they are evil - they aren't - they are so sweet and trust me - I cry 100% of the time during first looks behind the lens. But on the flip side, it is WAY okay to choose NOT to do a first look! Don't let vendors sway you into doing something you truly do not want to do - if you want to have a traditional "no-peaking-until-I-walk-that-aisle" then AWESOME! Any photographer can work with the circumstances thrown at them and as long as they are given a good chunk of time for pictures after the ceremony- they will make it work! Yes, the sun light may not be perfect, but again - it will work! A great thing to do is to meet with your photographer and videographer and let them be apart of scheduling your day, they will be able to help with timing out your big day and make sure you have adequate time for photography! 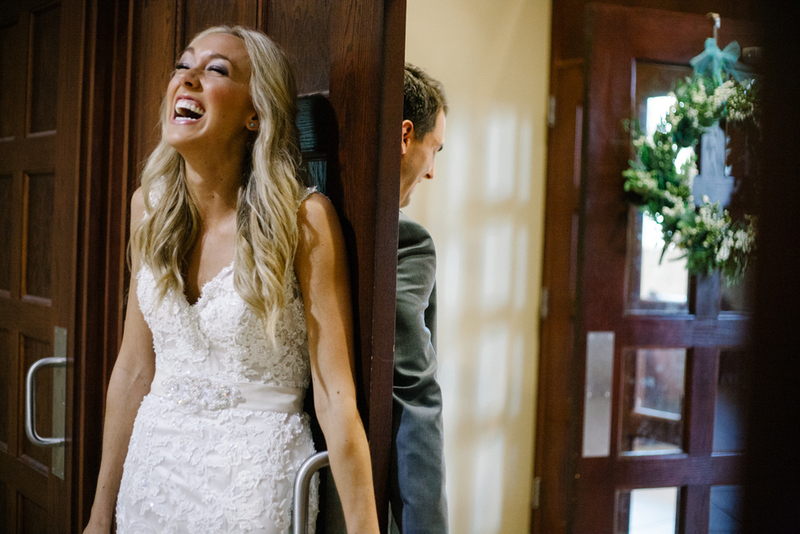 That moment when the church doors open and the groom sees his bride for the first time - it is breathtaking. 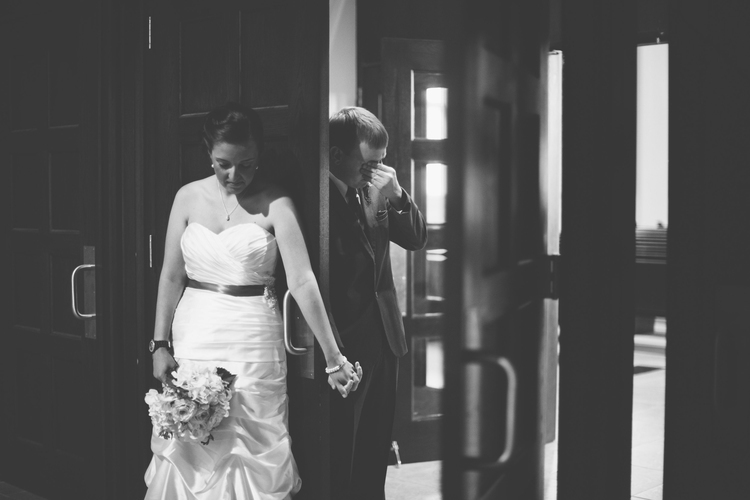 The anticipation as the song begins and the door handle slightly moves is the most amazing moment. After we get home from a wedding and I am scanning through the images, I will hunt for that picture. 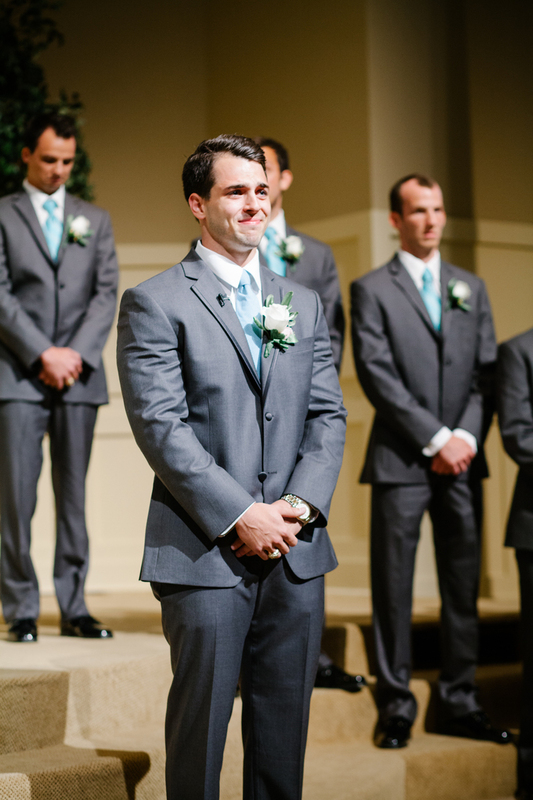 The picture of the groom seeing his wife for the first time. It gives me goosebumps every time. The tears. The smile. It is so worth it. 1. Meet behind a door. You have probably seen this before - but again it is such a sweet time for the bride & groom to hold hands and just breath together. To speak, to pray, to giggle - it is awesome. 2. 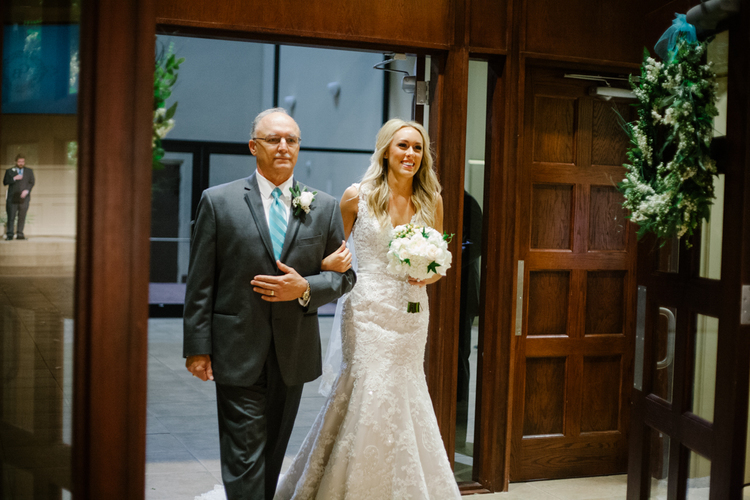 Do a First Look with Your Dad (Or your brother, or mom, etc) - We recently shot a wedding where the bride did a first look with her dad and man - it was so sweet. Her dad had not yet seen the dress, and his reaction was priceless! The two had to keep cracking' jokes to hold back the tears. Such a sweet sweet moment. 3. Blindfold the Groom - This is what we did at our wedding and I loved it. 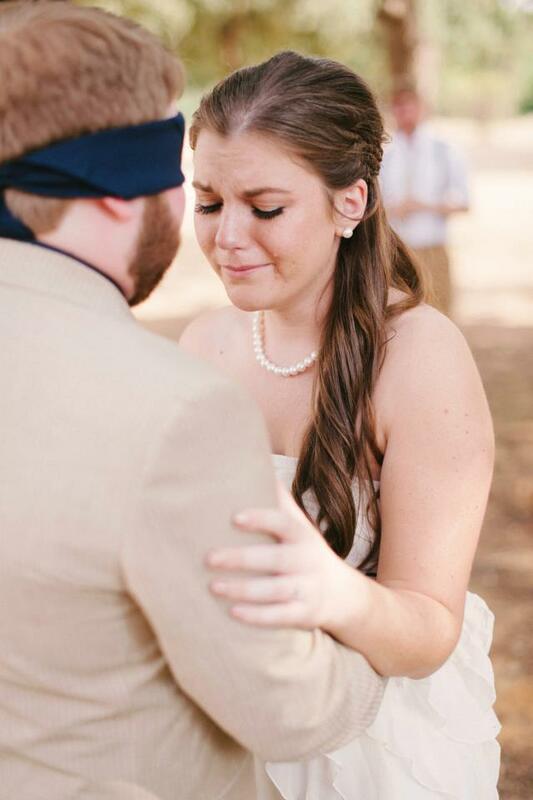 Zac was blindfolded and we met to talk and pray before we met each other at the alter. It was so great for me to talk to him and hear his voice. Zac talks about that moment when he saw me coming through the doors of the chapel and how that was one of the most meaningful moments of his life. He wouldn't change it for the world. 4. 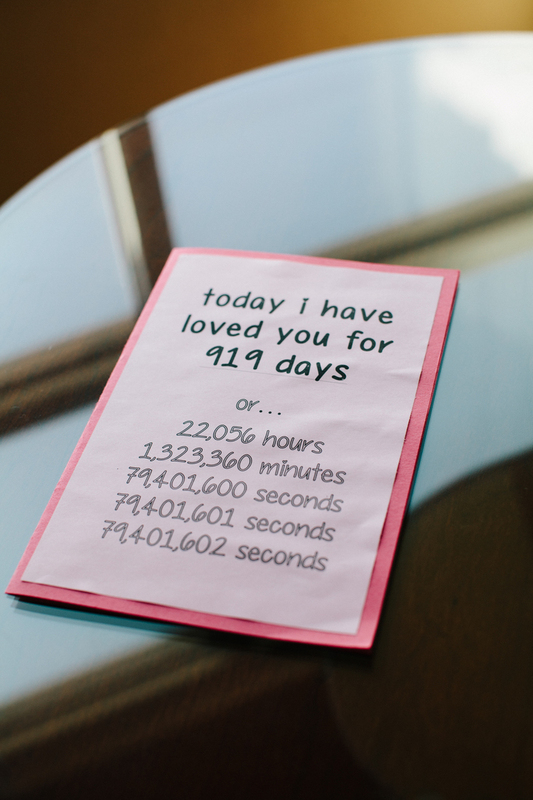 Send each other a video message or a letter! - We shot a wedding where the groom shot over a short message he had filmed on his iPhone to the bride. She watched it and by the end, everyone in the room was crying! 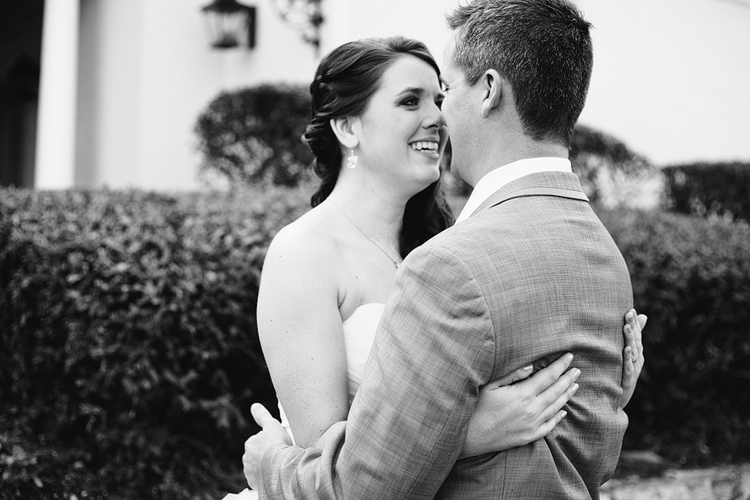 She was so excited to see her man and hear how excited he was for the big day! 5. 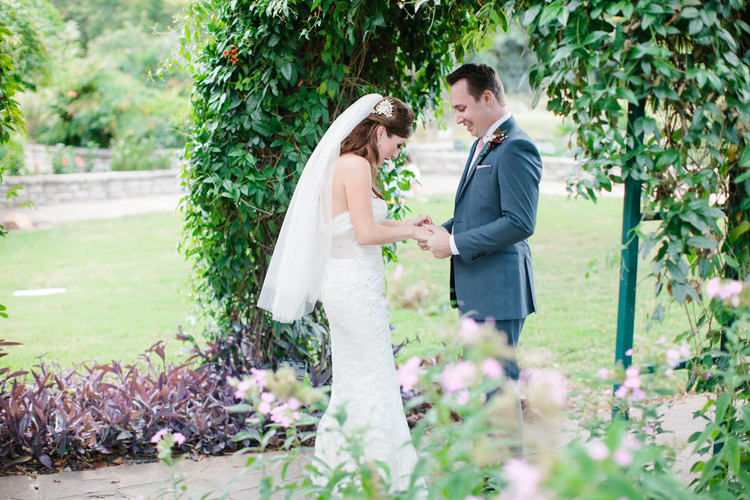 Do a timed first look - Zac has seen this a handful of times when working with another Dallas photographer. This photographer will give the bride and groom only a handful of minutes together before separating them again. This way, it still keeps their excitement and anticipation up - but they had a chance to snap some pictures and see each other before the ceremony. So - there ya go friends! Comment below with your ideas or suggestions! 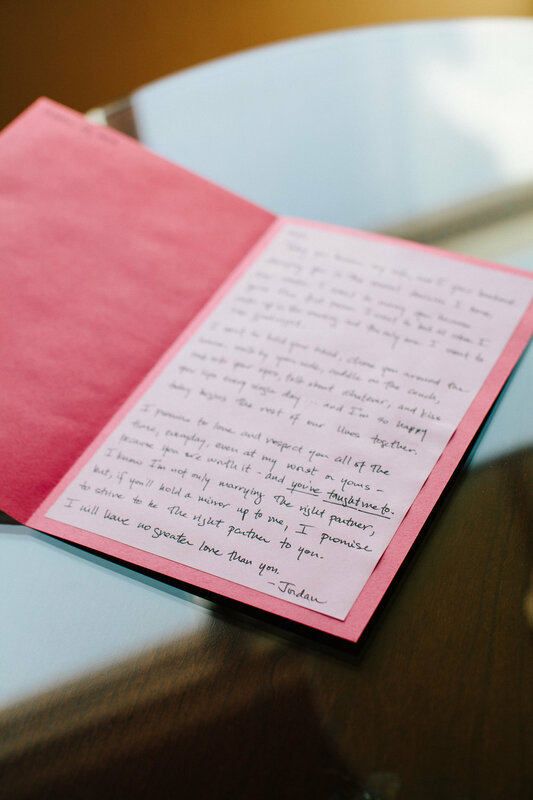 What did you and your spouse do - or which would you choose for your future wedding date? It is all up to you!